Remove the seat head restraint. 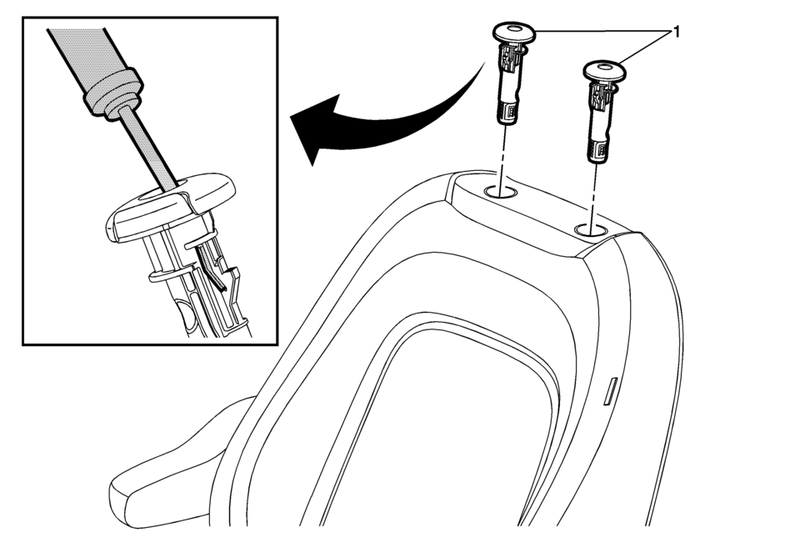 Refer to Driver or Passenger Seat Head Restraint Replacement. Using a suitable flat-bladed tool, slide the tool on the inside of the guide until it finds the slot. Then push the tool forward pulling the guide tab inward, while pulling upward to remove the guide from the seat back frame.